Config camera HDR+: "Pixel 2017 ZSL HDR+ (new)" should be the best for most phones. "Nexus 6 HDR+ Auto" doesn't have ZSL but it's known to be stable. HDR+ parameters: higher = better quality in difficult conditions (eg: low light), but slower to process. Start with the default setting, change it if needed. Colour balance: The "manual fixed black level offset" menu allows you to play with the colour balance. 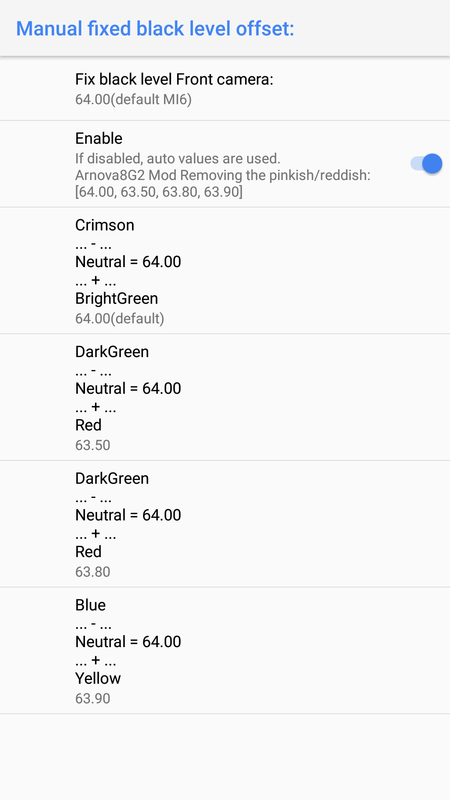 These settings work well on the OP3/3T.